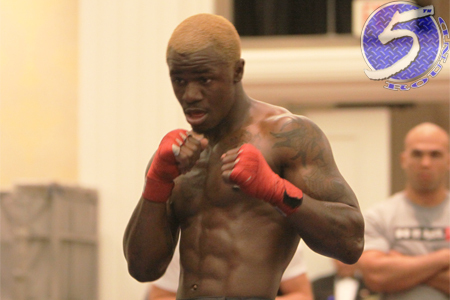 Despite having his five-fight winning streak abruptly snapped in a matter of 47 seconds in his last outing, Melvin Guillard (Pictured) couldn’t be more confident heading into Friday’s pivotal contest against Jim Miller. “What happened last time was a mistake,” Guillard admitted during Wednesday’s media workouts. “I rushed in so hard and fast I was stunned with a jab and from there I lost the fight. It was kinda dumb, but I am young enough to learn as long as realize the mistake. Guillard was on a torrid run before Joe Lauzon served up an upset special at UFC 136. Many believed if “The Young Assassin” could have left the October scrap victorious that he would have been next in line for a shot at Frankie Edgar’s title. The dangerous 28-year-old is anxious to put his latest error in his rear-view mirror and start another vicious ascent up the 155-pound totem pole. “I am ready for this fight with Miller,” Guillard confidently stated. “He’s a top guy, maybe the #3 or #4 in the division, and if I perform like I can do, I think it will be hard for people to say that I don’t deserve a UFC title shot. I won’t be reckless, but you will see what I can do on FX Friday night. The lightweight shootout headlines tomorrow’s show inside Bridgestone Arena in Nashville, Tennessee.